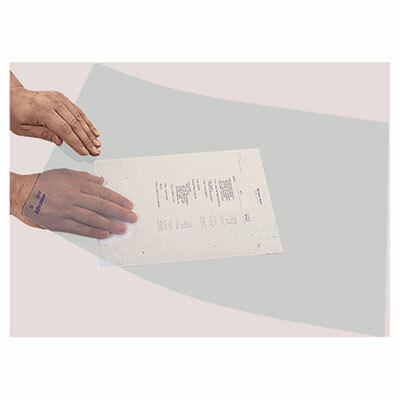 Crystal clear plastic protects and provides view of important papers underneath. Adhesive strip at top acts as a hinge, keeping pad in place while accessing papers underneath. Crystal clear plastic protects and provides view of important papers underneath. Adhesive strip at top acts as a hinge, keeping pad in place while accessing papers underneath. Static cling keeps papers in place.